For over 20 years our group has been supplying solutions throughout Asia Pacific, Europe, the Middle East and North America. MillenTech CTI Group’s EMV development facilities in New Zealand/Australia are in one of the most active regions regarding the use of Magnetic, Contact and Contactless EMV specifications. Major banks, card schemes and card manufacturers alike have utilized our PersonalisedPIN and Card durability QC, CQM compliance services for both regional and worldwide projects. We are proud to be accredited to perform VISA Innovative Card Product testing and American Express Enabled testing. 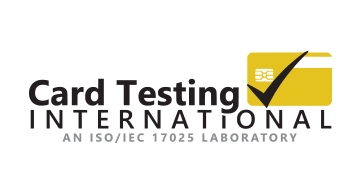 Card Testing International (CTI) provide more ISO 17025 laboratory accredited card tests than any other laboratory in the world. Ensure your cards work first time, everytime, worldwide with Card Testing International and save thousands in card failure costs.